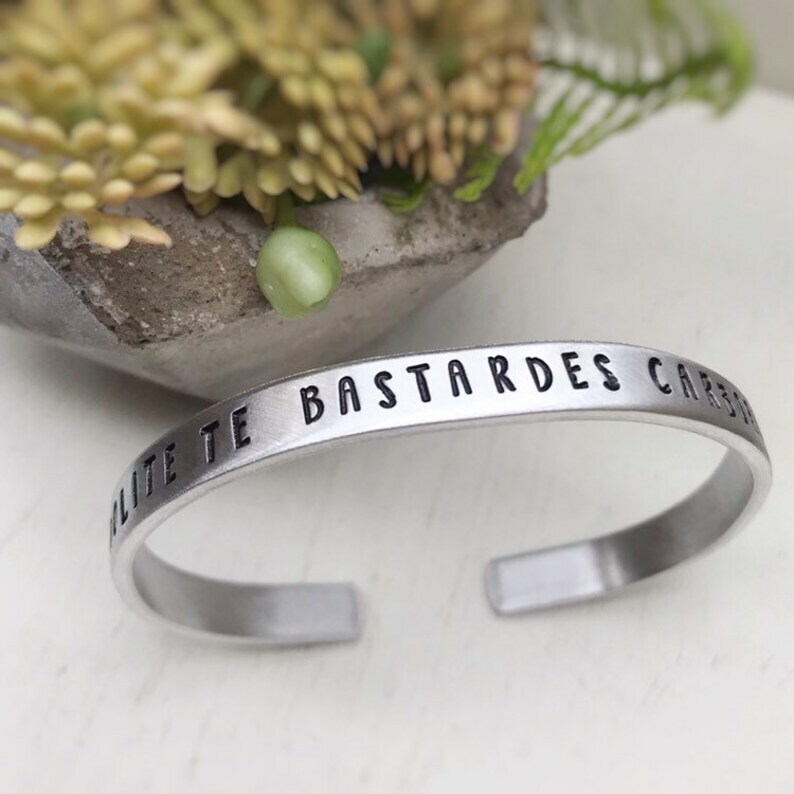 A 1/4" x 6" high quality, thick aluminum cuff bracelet reads "NOLTE TE BASTARDES CARBORUNDORUM ". The Handmaid's Tale fans will recognize this, the very loosely translated latin phrase, "don't let the bastards grind you down". What a better place to look for a reminder than on your wrist. If you'd rather me stamp the text on the inside instead of the outside, please specify that in the notes at checkout. I use very high grade, food quality aluminum which will never tarnish or rust and is more hypoallergenic than even sterling silver. Size can be gently adjusted and is one size fits most. 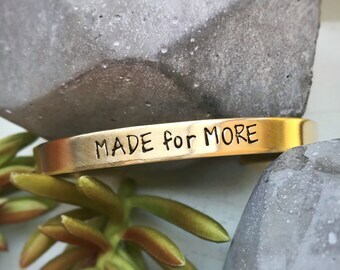 Have a long quote or prefer a wider cuff? 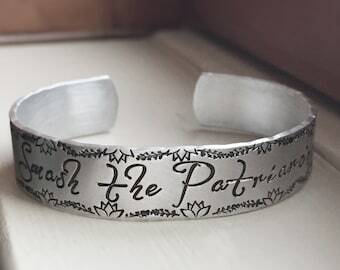 See this listing for the 1.5 inch cuff that can be personalized with up to 6 lines of text!